We at Anderson-Negele always thrive for innovation and continuous improvement because kaizen is our way of life. After detailed research and customer feedback we have created two highly customized Modular Sensor Platforms which brings more flexibility in the configuration, simplifies repairs using standardized components which are easily interchangeable and allow repairs on site. All our Modular Sensor Platforms products are available with Remote option as well. The Modular Sensor Platform also provides a major benefit for our customers in terms of reducing their maintenance, warehousing cost and lead time. Our Modular Platform Concept gives maximum amount of versatility to our customers and makes our products user friendly on site allowing the plant operator to choose the measurement system that optimally matches the needs of the process. At the same time, costs for unnecessary features are avoided. Easy to use customer interface reduces set-up time. 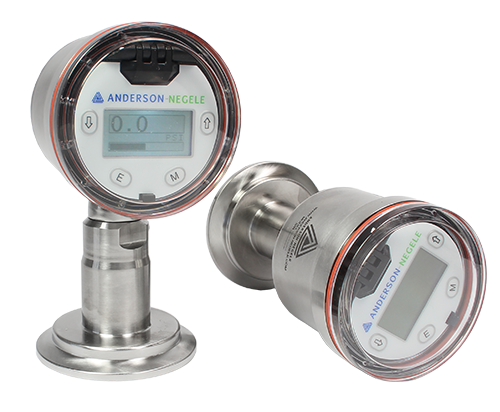 The ITM-51 is Anderson-Negele’s New high range turbidity meter for applications in dairy, food, and beverage processing plants. The D3 is Anderson-Negele’s NEW differential pressure/level transmitter for applications in food, dairy and beverage processing plants. 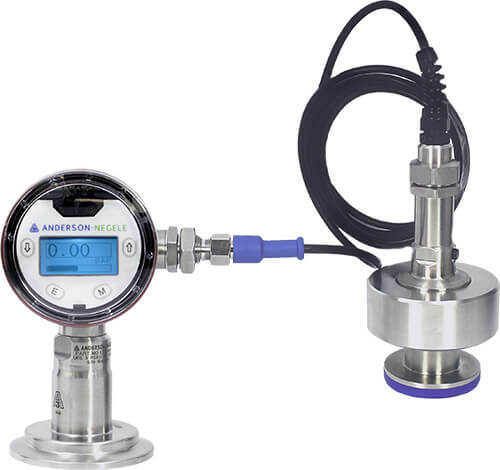 The Anderson-Negele L3 Pressure and Level Transmitter was designed to measure process pressure or hydrostatic level in sanitary process applications. The NSL-F is the next generation of potentiometric technology. It is a direct replacement for the LN and offers additional features. Integral (all in one) Inductive sensor-transmitter for the online measurement of process liquid conductivity.